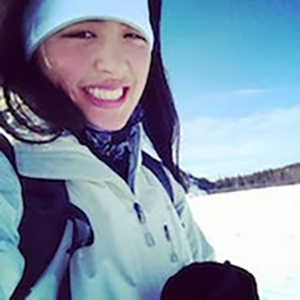 Stephanie is a public health researcher and research associate at the Institute for Circumpolar Health Research. She has been living on Yellowknives Dene Akaitcho Treaty 8 Chief Drygeese Territory since 2014. Stephanie is involved in many projects including using mixed methods to evaluate the delivery of primary health care services in remote northern communities, supporting the implementation of a land-based wellness program in Tulita, NT, and assisting with a youth participatory video climate change research project in Ndilo, NT. Stephanie holds a Masters of Public Health specializing in Epidemiology from the University of Toronto, a Bachelor of Science from McGill University and the Indigenous Self-Determination in Theory and Practice Short Course from Dechinta Bush University. Her research interests include: decolonization, participatory research methodologies and understanding the holistic connections between wellness, place, and culture. She is interested in trauma-informed practice, culturally-relevant mental health services, social determinants of health, and the evaluation of public health policies and programs. Recently, Stephanie has worked as a support worker at a youth shelter, a committee member of SwimAbility Canada, peer mentor for girls at the YWCA Yellowknife, and volunteer yoga teacher within an affordable housing program in Yellowknife. With a background in public health and community development, Stephanie is committed to improving health equity in Indigenous communities through strengths-based, holistic, community-driven capacity-building and decolonizing approaches.